Maybe not. These traditionally assumed advantages may not be present in the context of suits by suits – after all, high-level executives are less likely to be deterred by the unfamiliarity or up-front expense of arbitration, and their claims may play equally well (or better) in front of an educated arbitrator than a jury. What about that other long-cited advantage of arbitration, that because discovery is “less formal” and therefore quicker and less expensive? Well, that’s true in some cases, but increasingly, major arbitration services such as the American Arbitration Association have adopted rules for employment arbitration cases that permit the arbitrator to order “such discovery, by way of deposition, interrogatory, document production, or otherwise, as the arbitrator considers necessary” to fully and fairly resolve the case. Sound familiar? Indeed, because many arbitrators are retired judges, this can and often does result in a discovery process that is exactly as complex and time-consuming as litigation, replete with productions of mountains of documents, hundred-page privilege logs, motions to compel, sanctions, in camera review of contested documents, and so on. Moreover, because (as we’ll see below) one of the very few grounds for overturning an arbitration award is that the arbitrator “refused to hear evidence pertinent” to the case, arbitrators are sometimes less willing than a trial judge to sustain a party’s objection to the production of documents on the grounds of undue burden or expense. Paradoxically, this can mean the supposedly “streamlined” arbitration discovery process actually permits a litigant to seek more discovery than he or she would have otherwise been able to procure in court! This can be a double-edged sword to the employer; on the one hand, the employer knows that an arbitration award is essentially final and that the company will not be burdened with years of potential appeals. On the other hand – as Merrill Lynch found out – if the arbitration award goes the other way, courts almost universally confirm arbitration awards, no matter their size, and even if such awards contain factual or legal errors that would merit reversal of a jury’s verdict. Here, Merrill Lynch had an arbitration clause with its advisors requiring that any dispute be submitted for arbitration before a panel of arbitrators appointed by the Financial Industry Regulatory Authority (FINRA), applying the FINRA Code of Arbitration Procedure for Industry Disputes. Former Merrill Lynch brokers Tamara Smolchek and Meri Ramazio brought such a complaint in 2010, two years after they resigned from Merrill following its acquisition by Bank of America, asking that the arbitration panel award them immediate vesting and payment of certain long-term compensation bonuses. Smolchek and Ramazio claimed that their resignation constituted “good reason” under the terms of their employment agreements because of the change in control of Merrill Lynch, and thus triggered the immediate vesting of those benefits. 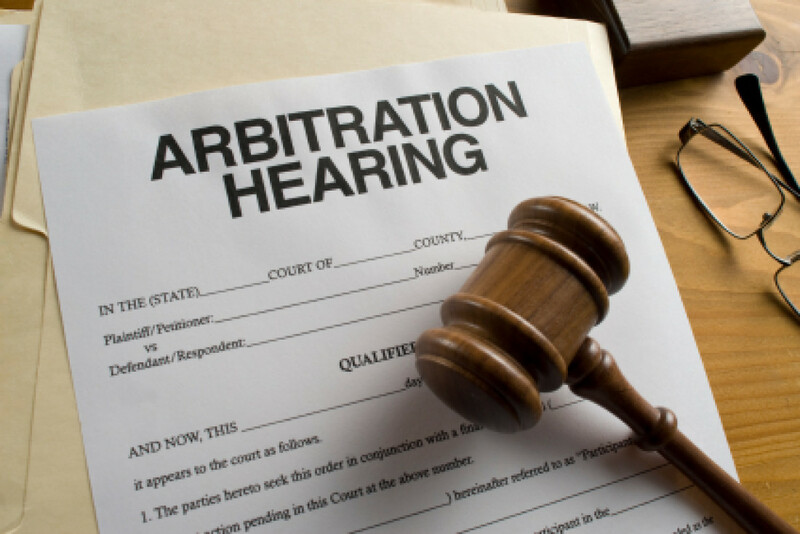 After a 17-day arbitration hearing – exactly as burdensome and expensive as a three-and-a-half-week trial, by the way – the arbitration panel found in favor of the brokers, awarding them $5.2 million in vested bonuses and an additional $5 million in punitive damages.